During the winters, parents try there to best to make sure that the child stays protected from the chilly weather. The parents search for the best quality sweaters for the kids. However, this search becomes more difficult when you look for the&nbs... Read More..
During the winters, parents try there to best to make sure that the child stays protected from the chilly weather. The parents search for the best quality sweaters for the kids. However, this search becomes more difficult when you look for the school Sweater. You don’t only have to find the best quality, but also find a certain design and color to match the school’s uniform. Making online school Sweater shopping easier for you, My School Depot offers a reliable platform for you. We are a trusted platform for buying school uniforms, shoes, bags, books, and stationary. The best qualities under different designs are available here for your child. Our tie-up with the major renowned schools all over the country makes us the right platform for you to buy school products. Our sweater category is completely dedicated to making the winters comfortable for your kids during the school time. We have all different types of sweaters available here for both boys and girls. Multiple sizes are here, so that, you can pick the most suitable one for your child. When you have our platform no need to struggle to find the right sweater we complete the school uniform with our protective clothing and provide the convenience of finding the online Sweater of students. We have full sleeves, half-sleeves, cardigans, and other types according to the schools’ guidelines. With a well-structured platform, we make shopping effectively convenient for you. The authenticity of our products is praised by the customers. But we don’t stop right there. We provide further benefits such as quick delivery and easy exchange if required. Adding to that, our help center stays always ready to answer your queries and make shopping comfortable for you. With our services, you don’t feel the need to go out and struggle for hours to find the school products for your kids. With My School Depot, we have created a complete shopping platform for school products. All needed requirements get covered here. Along with the uniforms, we are providing the stationary and books that are used in the schools all over the country. Plus, we have comfortable shoes as well as beautiful bags for the students here. 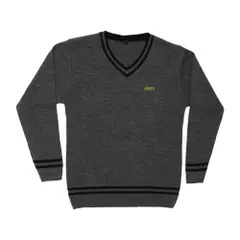 It is our relationship and tie-ups with some of the most renowned schools that make us the right platform to order school Sweater online and other items as well. So, come straight for the online school Sweater purchase.